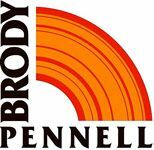 Brody-Pennell Heating and AC - "Keeping You Comfortable with Expert Heating & Air Conditioning Service Since 1945"
"Keeping You Comfortable with Expert Heating & Air Conditioning Service Since 1945"
Over the past 70 years, Brody-Pennell Heating and Air Conditioning has become one of Southern California’s leaders in dependable and reliable heating and air conditioning service and installation. Serving Los Angeles, Orange & Ventura Counties, as well as the San Fernando, Brody-Pennell continues after all these years to maintain a picture perfect record with the Better Business Bureau. We have been recognized with local and national awards and certifications. Our company is committed to providing the best service and education to our homeowners, which is why we stay on top of our industry affiliations to ensure we are the most educated in services, products and technologies that will best benefit our customers. Complete greater Los Angeles service coverage. Service available 24 hours a day, 365 days per year. A+ Refrigeration Heating & Air Conditioning is a family owned and operated company that has been proudly serving the Santa Barbara, Goleta, Ventura, Oxnard, Carpenteria areas.